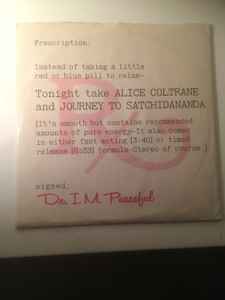 Title track from the Impulse LP "Journey In Satchidananda" split into 2 parts. Catalog number IMP-278 appears on the vinyl labels. Catalog number IMP-279 appears on the press sheet.